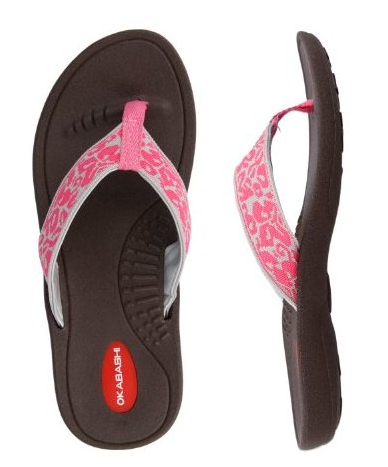 The hottest fashion pattern with regard to ladies shoes this summer is ladies wearing flipflops. Women's flipflops are accessible in a mixed bag of styles, colors and outlines, and they have turned into a tremendous part of numerous ladies' wardrobes. Flip flops are seen all around and everywhere you go, especially during the summer. 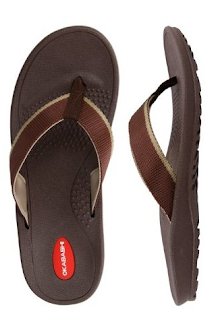 Anyway, I am more excited this summer knowing me and my hubby have a new pair of flip flops from okabashi.com. These flipflops we received from them are so comfortable to wear that we wear them almost every time we go out. You know the cool thing about wearing these flipflops? They have soft, reflexology beads on the ergonomic footbed that gently massage and stimulate our feet, so wonder I don’t feel any pain when I wear them strolling in the mall for several hours. Also, I love the fabric upper massaging flipflops which provides our feet with superior support and toe comfort. Here’s some additional cool product details about these flipflops: they are made in the USA ( yippee) and guaranteed for 2 years, they are really durable so that you can put then in the dishwasher whenever they get dirty, waterproof, it’s anti odor, anti slip which I love the most! They are anti-microbial and have a high arch support with a 1’ heel. If you want top quality and comfortable flip-flops this summer, check out this place, become their Facebook and Twitter fan and get the best flip-flops you can find at very affordable prices before the summer ends.